Dutch circular page from my mailbox. Sinterklaas arrived in Holland well before America’s Black Friday, so advertisers have been promoting small toys for those shoes by the fire-place. Sinterklaas will be stopping by our house this coming weekend to fill the footwear, meanwhile I see the ads like this one and reminisce. Stuffed animals were some of my cuddliest friends as a child, but I seem to recall it was quite difficult to find exotic beasts in our local Kentucky stores. When I sat on Santa’s knee in Lexington and received a baby elephant, I named her Ella and announced she needed a Mama by December 25th. None could be found. Poor baby Ella. Did she ever get a Mama? Did she ever! Her Mama elephant was like no other. With a pink gingham body and huge rose-colored polyester ears, Mama Elephant (as she was dubbed) arrived that Christmas with all the hand-made touches my own mother designed in her efforts to make sure her own doll baby, Kristin, would not be disappointed come Christmas morn. Days gone by, before Beanie Babies produced every animal we have ever heard of and some we have not in palm-sized forms. What if your toy company was only going to make a set of four or maybe five stuffed animals? What would they be? This is why I wanted to share this Dutch advertisement. A stack from bottom to top of elephant and lion (obvious classics), a hippo (less obvious), a rhino (interesting), and…what’s that on top? Is that a water buffalo? I had to find out why this creature was the pinnacle of the stuffed-toy stack in The Netherlands. My historian husband informed me that the featured bovine was a Cape buffalo, the African cousin to the Asian water buffalo. Yes, he said, reminding me that long before modern South Africa was a British colony, it was a Dutch colony (Cape Colony). In fact, the Dutch East Indies Company set up a way-station in 1652 for their ships traveling to and from Asia that turned into colony much to their chagrin. Afrikaans is one of the eleven official languages of modern South Africa and the one descended from and closely related to Dutch. You can get by with Afrikaans in Holland, and I have been known to mistakenly assume a new friend was “Dutch” only to find out she was South African. All these pieces came together for me, an expat whose history knowledge is sorely lacking, and now I see how the great Cape Buffalo found his way to the top of the stuffed toy stack in Holland. Of course he did! Check out the size of his ears and the way they hang down below his horns. Who wouldn’t want a stuffed Cape buffalo? Kristin King is an author, animal lover, nonprofit co-founder, and American expat living in The Netherlands. Thinking about giving beyond friends and family? 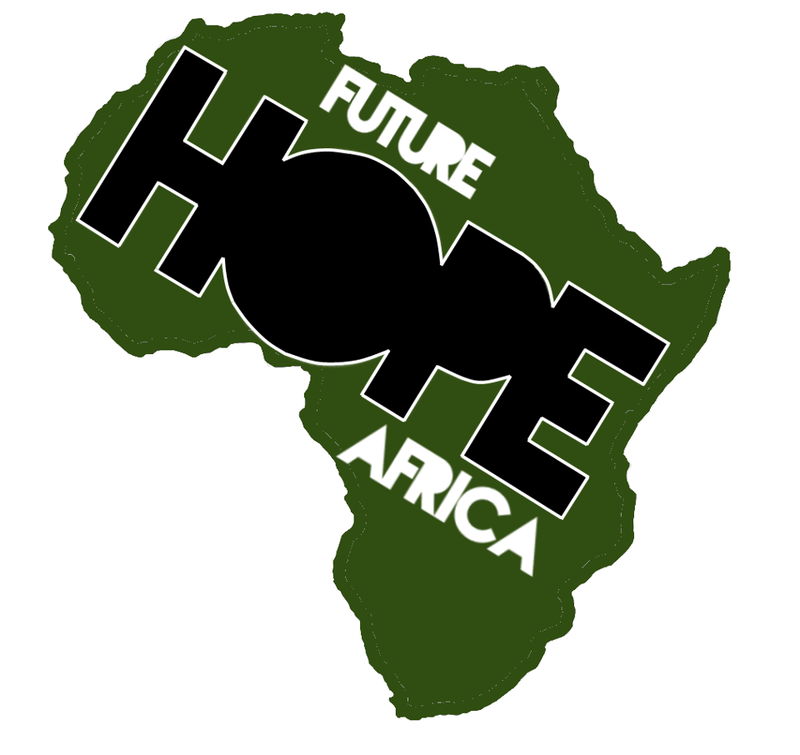 Consider Future Hope Africa, breaking the cycle of poverty through education one child at a time. I sighed with relief the week before school began because we didn’t have to attend all the orientation meetings. We’re in our second year, so the gauntlet is much shorter with elementary and middle school open houses. For middle school night you receive your son or daughter’s schedule and run through nine periods to the tune of the dismissal bell. Ten minutes in each class gives the teachers enough time to show you the units your child will be covering, major projects, and introduce the teacher themselves. Where can we see the children’s homework assignments, or their tardies, or project progress? Parents get the answers, see each other in classrooms, and become increasingly information overloaded since every class handles work differently. I came home impressed not only with the school (which is really top notch) but also with my son. He is doing so much more each day than I ever did back in the day. The time it takes to walk from the arts center to Social Studies–yikes, I’m proud he hasn’t had a tardy. I had one conversation in passing–literally still moving in opposite directions–and arrived after “class” began. Beyond all this, though, the coolest thing that came out of the night for me was coming home to find my son on Goodreads and become “Friends.” I’ve enjoyed tracking my reading for a few years now on this social reading site, and now my 8th grader is required to have an account and use it to discuss books with his classmates. Yay! I mentioned this requirement to a friend who teaches at the Dutch school, and she had never heard of the website. This always amazes me. I tend to think teachers and readers all know about it and avidly track what they read, leave reviews, and compare what they like to what their friends like. She said she would look into it. Meanwhile I’ll check out how the 8th grade is interacting. Kristin King is an American author recently relocated to the Netherlands. To peruse her novels and author information visit this link. You can also connect with her on Goodreads, see what she’s currently reading, and compare reading compatibility. In Holland we mostly travel local and on bicycles since the affordable home repair service keeps 8 of our 10 bikes going strong. (The other 2 are for spare parts). I’ll confess I’ve only used the buses and trams twice in a solid year. Why? The ov-chipkaart is your ticket to ride public transport in The Netherlands. One would think this chipped credit card looking pass a one-size fits all travel solution. Well, if you’re single or perhaps a couple, pick up the personal ov card which has your photo and entitles you to constant discounts. This was my original intention. There are perks such as being automatically recharged from your EU bank account and invalidated if stolen. Discounts, perks and protection–sigh me up! Some folks prefer the “anonymous” ov card which is what my husband purchased straight away when we arrived so that we could share the card and always have one at the ready. We get no discounts, and I learned from my most recent evening out that using the public transport with this card (one way, mind you) cost me more time and money than paying for parking would have–and this when I was traveling alone. Imagine the cost times 6. Did I mention I prefer my car? As a tourist you can also purchase the “disposable” ov card which has limited validity (# of days or trips) and “is the most expensive way to use public transport, and therefore touted as the standard tourist card” (The Undutchables). Since most transport these days will not take cash, debit cards, or your first born, this option may be it. Step into the nearest grocery store and there maybe vending machines where you can buy these cards. I almost purchased one of these my first month but was warned the 7 euro gained me a blank card that I would need my EU bank account to load with funds before attempting travel. Surely my memory fails me–I know for sure though that I was confused and put off. I know lots of people rave about public transportation and tout the ease and convenience. I suspect most of of them are from metropolitan areas or have lived most of their adult lives in such places. Me? I’m from a town so small there was only one dilapidated, four-door, green land-barge Buick offering a taxi service if the old guy who drove it wasn’t napping somewhere. Buses were big, yellow, and for school children only. Beyond that “public” transportation meant you were walking or had your car windows rolled down. These days I’m grateful for all these ov-savy travelers, as I hope their preference leaves a parking spot I can ease my 7-passenger van into even when traveling alone. Kristin King is an author, publisher, nonprofit president, and US expat finishing her first full year living in Holland. The only time I’ve paid to maintain my color or cut in Europe was when I went blonde for the first time. Otherwise I do the deeds myself or wait to visit my sister-in-law’s salon in Kentucky.There are couple good reasons for this decision beyond the fact that I have four always hungry or soon to be hungry boys. 1) I actually paid for long layers in a highly recommended salon where the stylist made me bend upside down as she combed my wet hair out in a redwood Alf-alpha before cutting off the ends. Gee, I can do that at home, I thought. 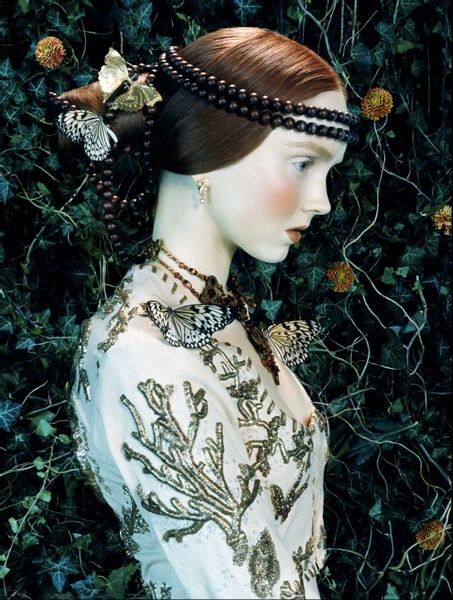 2) Dark hair of various shades is easy for someone as not picky about their hair as I am. If coverage isn’t quite even, hey that’s low lights and highlights, right? This is not to say that I won’t pay the big bucks for a stunning new look. Case in point, hot pink hair. You’ve never seen so many teens talking to a chaperone at church service camp. Hair is fun. Change should be noticeable–especially when you pay full price. My husband, though, could eat cheeseburgers 7 days a week (seriously, I tested this early in our marriage), and he likes my hair long and brown–or black. So I usually only experiment when he is deployed to Afghanistan or such and there is a little extra “pick me up” money in the budget. When my adolescent son first starting commenting on how much grey my hair showed, I thought I’d found a fail safe method to determine when to color again. Unfortunately (for my hair which really doesn’t matter in the big scheme of things), he came home from his church camp a changed youth. “You should be yourself. Don’t try to be young,” he said. He gives me that “my crazy mom” look and heads off to shoot ball in the front driveway. He’s a great kid–I’m so proud to be his mom. Today we meet the teachers at the international school and enjoy an ice cream social with friends and new faces. How do I prepare? I color my hair. A stray dark smudge on my neck did not get the immediate soap it needed. I scrub at it a bit, pleased to see the smudge grow smaller. Uh oh. Too much scrubbing left a round red spot on my neck. Wonder what my sons’ teachers will think of my hair color hickey? Kristin King is an author, publisher, mother of 4 sons, president of a nonprofit, and American expat living in Holland (Whew!). She would love to see your new cut or color, and more of her dream colors are on Pinterest. 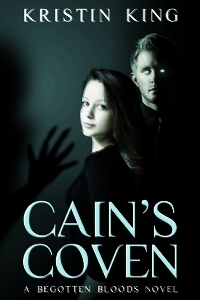 Her first book series, Begotten Bloods (BB), is paranormal romance/suspense which features very normal hair. Chair with weight limit sticker in Dutch emergency room. My husband and I divide and conquer when it comes to routine E.R. visits. Yes, we have four boys so the words “routine” and “emergency room” go together. For our last appointment (yes, you make an appointment for the E.R. in The Netherlands – more here on that), I took broken-finger boy and hubby stayed home with the other 3 children. The Dutch do things differently. The whole family comes to the emergency room with. Families of four, six, an apparent dinner party of people young and old came traipsing into the E.R. waiting area and greeted those already seated. Behind curtain number one though, where the nurse cleans my son’s wound and prepares the finger splint, there is only one chair for the injured person’s driver, and that chair has a weight limit clearly displayed on a large sticker. Don’t take that seat if you weigh over 220 lbs (i.e. 100 kg). Kristin King is an author, publisher, mother of 4 sons, president of a nonprofit, and American expat living in Holland. She readily sat in the pictured chair and is contemplating losing some weight anyway. Her first book series, Begotten Bloods (BB), is paranormal romance/suspense. With the diamond capital of the world not far away in Antwerp, our wedding anniversary around the corner, and LOTR always on our minds, you might expect this post to be about jewelry. Not so. Unfortunately. The unexpected rings in the Netherlands are at the front door and they are numerous. Does the closed gate at the top of the driveway give pause? Nope. How about two big dogs running toward said gate barking their heads off? Nope. I think the only way to bypass this part of the expat experience is to do away with the front door. In our first few months here it was often helpful folks at the door. For instance, the team that cleaned the windows for the previous tenant dropped by with their card. The neighbors came with a bouquet of flowers to welcome us and have us over for coffee. The police rang to inquire about a break-in on our street, had we heard or seen anything around 11pm the night before. In the US we might have the occasional unexpected knock from missionaries–haven’t seen them in Holland yet, though I’ll be sure to invite them to my church as usual. So who’s at the door? (Anyone else humming a song now?) Usually charitable solicitation folks for animal rescues, refugees, Doctors without Borders, etc. You name it, they’ve been by my house. Their visits are not only legal but encouraged. Ones with locked piggy banks want a bit of change. No biggie. Ones with paperwork want to sign you up for a monthly gift via direct bank transfer. (Highly discouraged by our boss.) Ones carrying nothing, well…they might have just hit your car. Huh. Funny how the ringers didn’t think it might be rude to interrupt what I was doing. Oh–there’s the door bell again. Gutter drainage cleaners will be blocking my driveway for the next few hours. Too bad that won’t keep the ringers away. Kristin King is an author, publisher, mother of 4 sons, president of a nonprofit, and American expat living in Holland. She’s got nothing going on that someone should worry about interrupting. Her first book series, Begotten Bloods (BB), is paranormal romance/suspense.